Producer and actor Farhan Akhtar unveiled a new poster of the upcoming film Gold starring Akshay Kumar in the lead role on June 14, 2018. Akshay has already made a difference by starring in some of the movies with the issues like open defecation and menstrual hygiene. Now the star is back with another film that has narrated the true story of India’s first gold medal at the Olympics post independence. 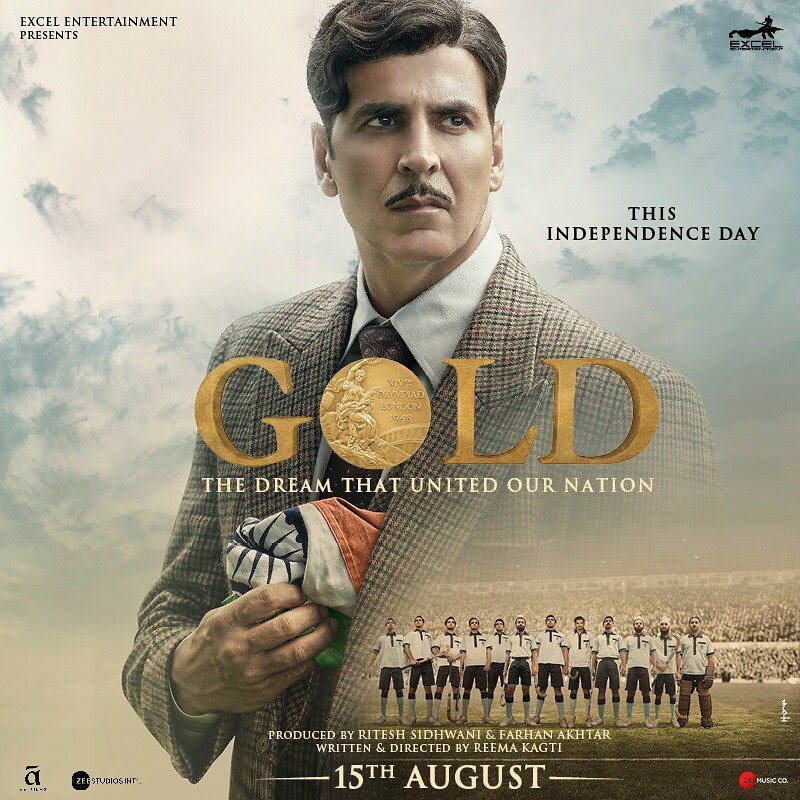 The new poster has shown Akshay with a intense look and dressed up in a suit with an Indian flag in his hand. Farhan captioned the poster, “All victories begin with a dream. It fills me with immense joy to present to you the official poster of #Gold, a film that is very close to my heart. Releasing 15th August.” The film has been written and directed by Reema Kagti. The trailer of the film was released in December 2017 and left the audience curious about the actual film. The film will also mark the debut of TV actress Mouni Roy in Bollywood. Apart from Gold, Akshay will also be seen in the upcoming film Kesari, a film that is based on the Battle of Saragarhi. Kesari also stars Parineeti Chopra and the audience will get to see Akshay in a different avatar.